The city of Pittsburgh, Kansas has a beautiful RV and bike park, where cyclists can camp for free. It had everything I needed: bathrooms with showers, picnic tables, a water spigot, and a nice shady lawn to pitch my tent. As I was setting up my tent, a group of cyclists in their early twenties rolled up and we began swapping stories. Robert was a professional classical singer from Berlin and was headed West from New York to San Francisco, and Mark and Katie were a young couple that had just finished college and were headed from Chicago to Oregon. They had met on the road but had been riding together on and off for a while, and seemed like they had been friends all their lives. That was what the road would do: connect people in ways that I never thought possible. It was not unusual to care for someone like you would a family member after a brief encounter. The daily challenges of trying to cross the country on a bicycle helped sever the formalities and boundaries that tend to divide us in the social spheres of daily living. This was a different type of existence. Fighting the elements on two wheels for weeks on end created an inherent bond between cyclists, minimizing the dividing lines of race, class or background. I loved the sense of expanded community that it created. 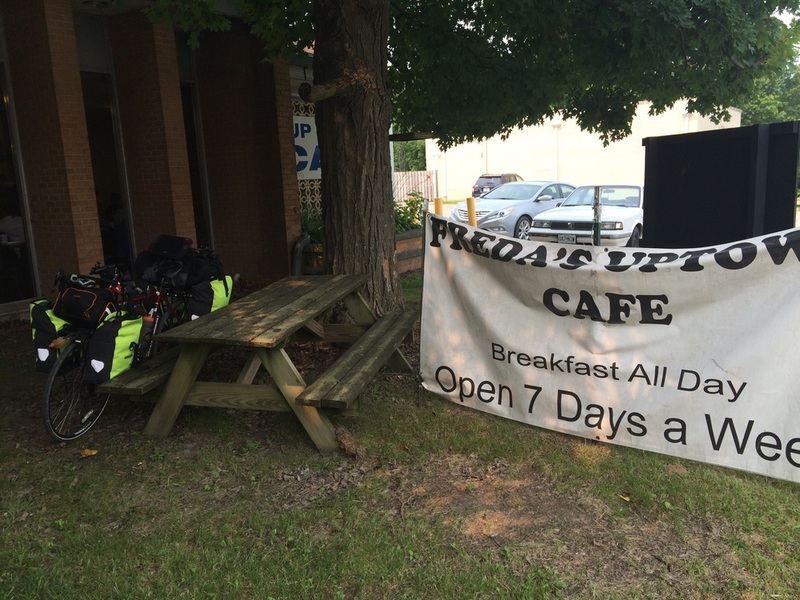 Mark and Robert rode into town and bought pizza (and beer) while I filmed Katie setting up her tent. We sat on a picnic table telling jokes and stories until the fireflies began to flicker in the trees behind us, the sun escaping under the horizon and filling the sky with a pink glow. For a moment, we felt a slight drizzle of rain and a rainbow arched over the backdrop as the sun disappeared. I was so glad to have some people to talk to, since riding alone through Kansas had left me rather lonely. Somehow the conversation led to me telling my story of losing everything to alcohol, and they subtly attempted to shift their beers out of my sight. I explained that I was quite comfortable being around drinking, if anything I prefer that people don't modify anything on my behalf. Since I had become sober, I had given up so much socially, and the last thing I ever wanted was someone to change what they would normally do just because I had a problem. While I didn't go out of my way to be around drinking, some of the best nights of my sobriety have been around old friends while they drank all night like I used to. These nights have tended to leave me with a feeling of achievement for staying sober, and a sense that I am not missing out on the fun. With that being said, sometimes being around drinking does force me to grieve the loss of those days. There are times when I wish I was not hindered by the occasional anxieties of life, which was something that dissapeared with a few sips of booze. Long ago I decided it was a worthy trade off to be a bit uneasy in social settings for a lifetime of peace, purpose, and success. Sobriety has to be an intrinsic desire, and at least for me, being reminded of drinking only strengthens my conviction that I have chosen to abstain. As I was packing up my tent in the morning, Robert showed up with Starbucks coffee, doughnuts, and granola bars. I had not had a good cup of coffee like that in weeks, and we sat under the shade of the picnic table hovering over maps, swapping tips and advice about what to expect from the next few days, since we were both traveling in opposite directions. Robert gave me the number of a couple that hosted cyclists on their goat farm, and I soon had arranged my place for the night. I drifted through the humidity and Eastern Kansas heat while sweat beaded and streamed off of my face until I reached the Missouri border. I had reached my sixth state. 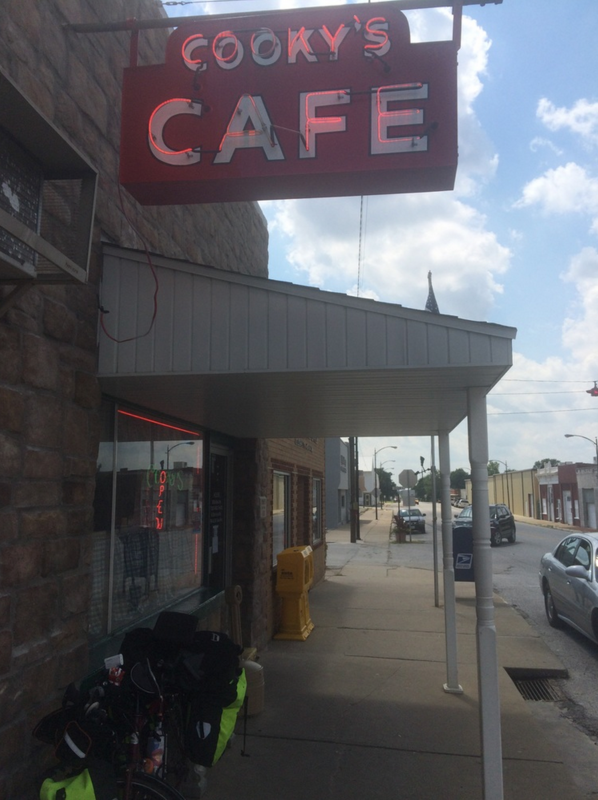 I made it to Golden City around lunchtime, and had been told by other cyclists to wander off the route a couple of blocks into town to have a piece of pie at a restaurant called Cooky's. I ate lunch and enjoyed a slice of apple a la mode while I glanced over the cyclist sign-in book, looking at drawings from other riders and seeing some familiar names of cyclists I had met in passing. 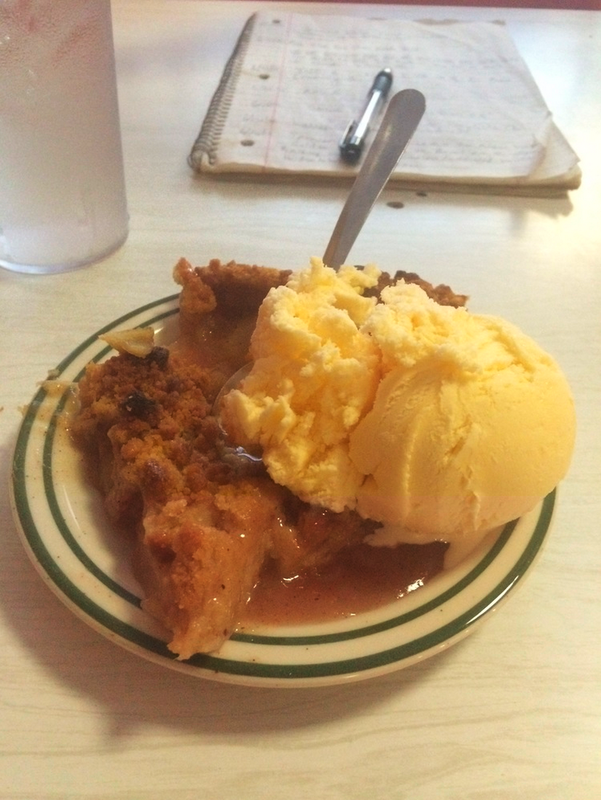 I thought of Jack Kerouac eating apple pie everywhere he went in the book On The Road, with a sense of nostalgia toward the vicarious adventurous wonderment that his writing had inspired in me years ago. While I was approaching Walnut Grove, the sun began to set. Suddenly, I heard a loud clunk from the back of my bike and was stopped dead in my tracks. My bike rack had broken off, and all three bags had fallen backwards slamming into my rear wheel. 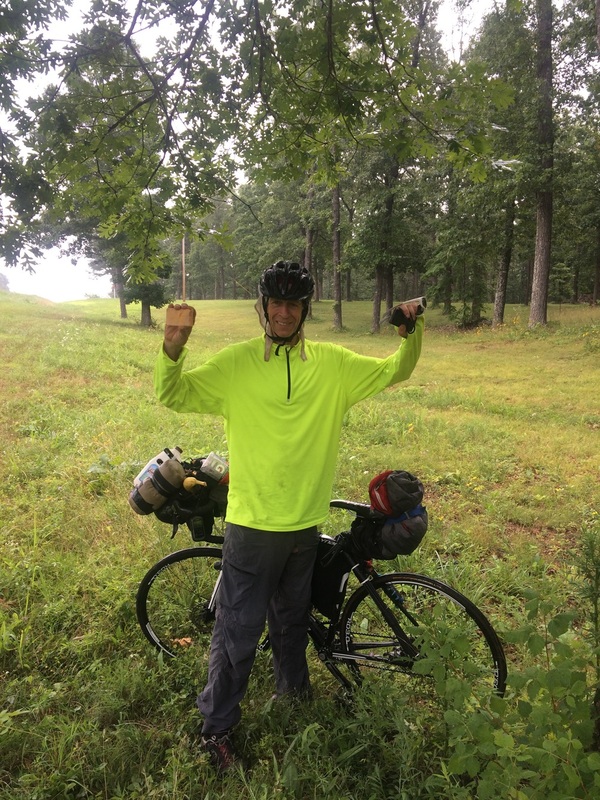 After 80 miles of vigorous climbing over the beginnings of the Ozarks, I lacked the energy to try to fix it at the roadside, so I texted my host family, and soon a man in his mid thirties named Duane arrived and picked me up with my broken bike as I had broken down only a few miles from his house. Duane was a software engineer and we had a nerdy bond that put me immediately at ease. He was incredibly amiable and told me that two girls from Norway were staying with him as well. They had cooked me dinner, and had it warming in the oven. That was music to my ears — I had planned to cobble together a dinner out of the half melted cheese and Triscuits that were buried in my panniers. We arrived at his farm and I soon heard the bahhh of the goats. There were chickens, roosters, guard dogs, cats, and a plethora of prize-winning show goats. Duane's house was immaculate, and he showed me to my room and handed me a plush beach towel before pointing me towards the nicest shower I had been in during the entire trip. The sink even looked like a tiny rock waterfall, and was surrounded by all these pleasant-smelling soaps. I was afraid to spit my toothpaste into it as it felt like desecrating nature or something. After cleaning up and meeting the Norwegian girls, I ate an incredible dinner of chicken, quinoa salad, and fresh fruit, which was a delight after a week of eating mostly out of gas stations. I fell into a deep sleep on a comfortable bed that was four feet above the ground, a novel change from the floor of my tent and squeaky stained mattresses at cheap motels. 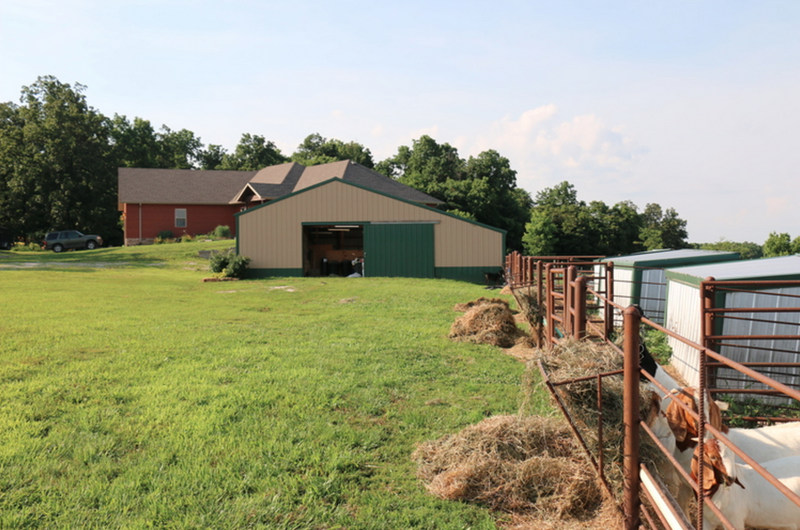 Greeting me in the morning was hot dark coffee, fresh fruit, oatmeal, a fried egg, toast, and cheerful conversation with the Norwegian girls while Duane scurried around the farm feeding animals. We rode into town to take "the redneck tour," as Duane called it, which was a ride around Springfield and a trip to the Cabella's flagship store. It was interesting to watch the Norwegian girls marvel at the gun museum, as they took pictures of the NRA signup booth and the lines of customers buying guns. American flags hung practically everywhere. I enjoy loud powerful explosive things as much as any American, but watching their amusement and fascination with our gun culture put America's unique cultural obsession in perspective. We ate lunch at a Peruvian restaurant and I ordered a goat burger, promising that I wouldn't tell the other goats when I got back to the farm. We stopped at a grocery store and I bought some groceries for the girls to make a Norwegian dinner as a token of gratitude to Duane and his wife, Jennifer, who was set to arrive home when we returned. Jennifer showed up that afternoon, returning from a 70 mile bike race, and I helped Duane put up some drywall and do some farm chores. We fed the goats and refilled their water troughs while the girls cooked an incredible meal of shrimp and smoked salmon pasta with a cream sauce. 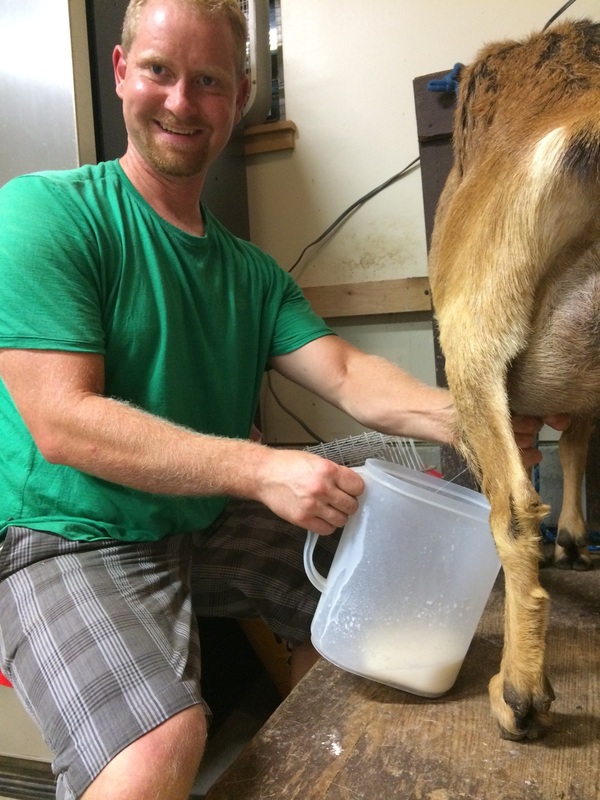 After dinner, Duane took to milking a goat and let me give it a try. 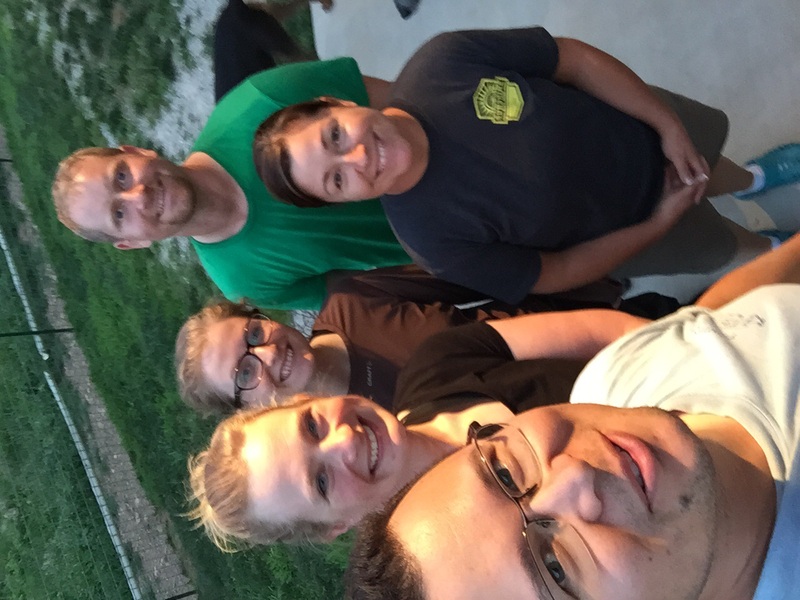 There I was in the middle of Missouri, milking a goat, meeting friends from completely different backgrounds, discovering time and time again the true good nature of humanity. This was the trip of a lifetime. As I put my bike together for the next day's ride, I realized that it would not be the easy fix I had originally imagined. I had a broken spoke, bent rim, and damaged wheel. Jennifer offered to take me into Springfield in the morning to Sunshine Bike Shop to get it fixed. On the ride down the next morning, I got to chat with Jennifer and learn the extended sense of community that she and Duane had discovered by hosting cyclists. She explained that they had been able to meet people from all over the world without even leaving their home. If you have ever considered hosting traveling cyclists, I highly recommend becoming a host on warmshowers.org, as I hope to do the same when I finish the trip and get settled down. I felt a sense that I would remain friends with Duane and Jennifer long after this trip, and am deeply grateful for all their help and hospitality. The mechanics at Sunshine Bike Shop treated me like family, lending me an electric bike to ride to get some lunch and even drove me to a camera store to get a new microphone to replace the one that stopped working. Within a couple hours, they had built me a new wheel, repaired the rack, and had tuned up the entire bike, refusing to charge me labor explaining that they all had either been on tour, or dreamed of doing it one day, and would hope to be treated the same if the tables were turned. I took to the road in the early afternoon, glowing from my good fortune. I rode on the historic Route 66 into Marshfield, which was incredibly sketchy as it had no side road and heavy highway traffic. There were no affordable options for lodging, so I called the town Sheriff and he granted me permission to set my tent up at the county fairgrounds. It was a hot sweaty night in my tent with the booming sounds of a nearby railroad and kids lighting off firecrackers, but I was grateful for the free place to set up camp. In the morning a grungy unshaven version of myself rode through the small town main street, where I asked a local about breakfast. She directed me to a little cafe called Freida's. I watched what seemed like the whole city congregate around biscuits and gravy, chatting about weather and happenings in the town. It was comforting to see the sense of community take place while I fueled up for a long day full of the steepest climbs of my trip. Oh (zarks) my legs burn! 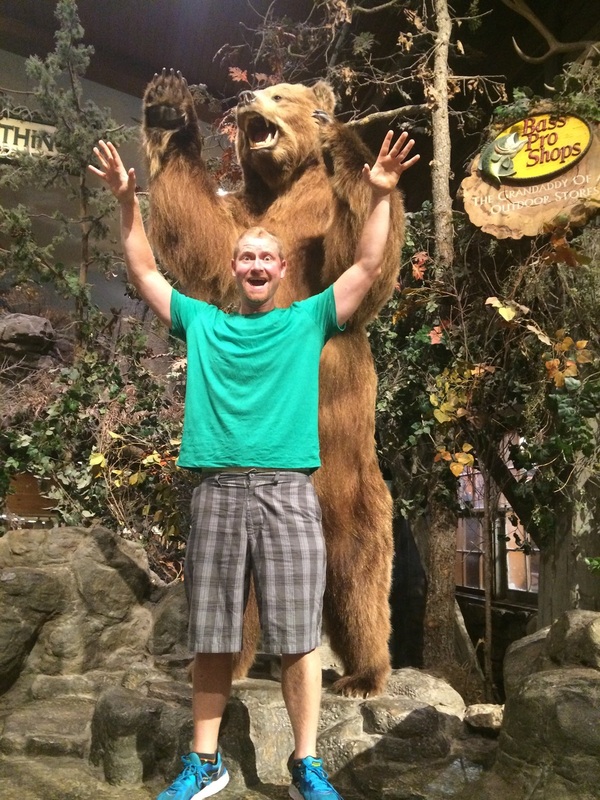 When planning the trip, I had never given the Ozarks much thought. Honestly, I didn't really know exactly where they were, but I had started to hear the warnings from other cyclists that many had to walk their bikes from the high grades. These warnings hardly did the Ozarks justice, as I found myself pushed to levels I never thought possible. Even in my easiest gear, I had to fight for each pedal stroke as if doing one-legged squats, my heart thumping around 200 beats a minute until I thought it was going to explode. Tremendous work brought tremendous reward, however, and the descents took my bike to speeds that I also never thought possible, nearing 40 miles an hour while I yelped and hollered and waahooooooed. 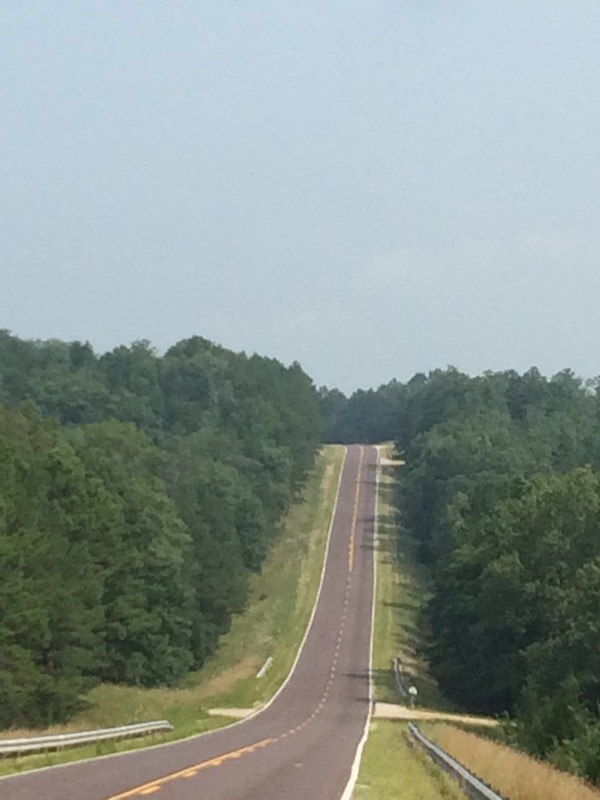 By the time I reached Houston, MO, my shirt had white sweat lines caked onto it, and my legs felt like Jello. I wobbled up to a cheap motel and headed straight for the shower and bed. I spent some time resting in Houston and waiting out heavy rains and a flood warning before returning to the steepness. I met a cyclist who was staying next door who exclaimed, "You're the famous Spencer I have been hearing about all this time! My buddy Ken rode with you in Nevada. I have seen you signed into a lot of log books…Bridge to Bridge, right?" Ken, who I had ridden with for various days back in May in Utah, came out of a different motel room and greeted me with a cheerful hug and plenty of stories about his journey, catching me up on the happenings of the mutual people we had met. It was strange how small of a world it was crossing the country on a bicycle, running into the same people in various cities along the route, creating friendships and bonds that exceeded anything I had ever experienced. In the morning, the rain had finally let up. Everything was damp and seemed to breathe with life as I began the climb out of town. My derailer had been shifting erratically between gears for several days, and I was unable to adjust it quite right. This created unnecessary tension on my chain, until I eventually heard it snap off while trying to climb a hill, nearly sending me to the ground. I realized that I was about 100 miles in either direction from the nearest bike shop, so I sat there on the side of the road in the swampy heat trying to fix it. I rummaged through my bag and grabbed a power link, a connector piece that I had bought for such an event, using it to temporarily repair the broken chain. Then realized that I had looped the chain through incorrectly, so had to pop off another link. A fellow cyclist stopped and I was eventually able to look at his bike to figure out how to put the chain on properly, using a second power link to fix it, grateful that I had had the foresight to bring two of them. The cyclist who stopped called himself Yukon, and was part of the TransAmerica race, yet was willing to set himself back to help me out. It was one of my most trying moments of the trip so far. I was frustrated, exhausted, and hot, and yet Yukon was so pleasant and had an ease to his spirit, cracking jokes and talking about all the cool objects he had found on the side of the road. He was willing to slow his finish time a bit to selflessly help a guy in desperate need. The media can make this world seem scary and negative, even unapproachable at times, and yet this trip has proven that we live in a world that is overwhelmingly full of goodness, love, patience, and selflessness. As I pedaled the rest of the day to a serene campsite near the Ozark National Scenic Riverways, I kept thinking about how this trip has renewed my belief in the goodness of humanity. It has reminded me of the love and kindness that really exists across this country that I am so proud to call my home. I hope that others might be reminded vicariously through my trip that this is, in fact, a wonderful world. Moreover, I hope that the kids for whom I am raising money to help will someday get a chance to see the world that I am experiencing: vast and beautiful, hopeful and free. Teenagers roared by my campsite in a red, white, and blue truck streaming American flags, laughing and flirting, having the summer of their lives. I fell asleep in my tent filled with the happiness of the memories of my own teenage Fourth of July weekends without a care in the world. Thanks for reading, sharing, commenting, and donating to my journey to fund a new recovery home for Providence Network. I truly appreciate all the love, support, and encouragement.